Michigan Model for Health teaching module for grades 7-8. 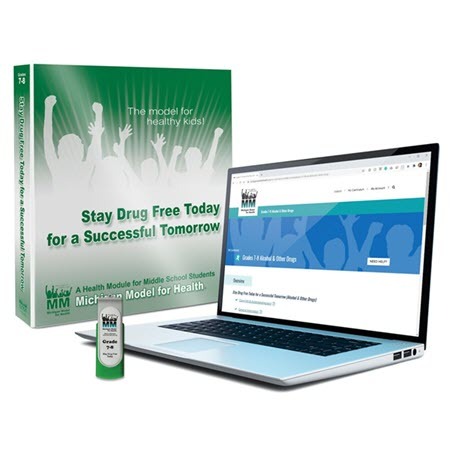 Includes 11 lessons that address drug and alcohol use, one of the six categories of risk behaviors that cause the most adverse social and health outcomes as identified by the Centers for Disease Control an Prevention (CDC). Teacher Resource flash drive is included. Support materials purchased separately.